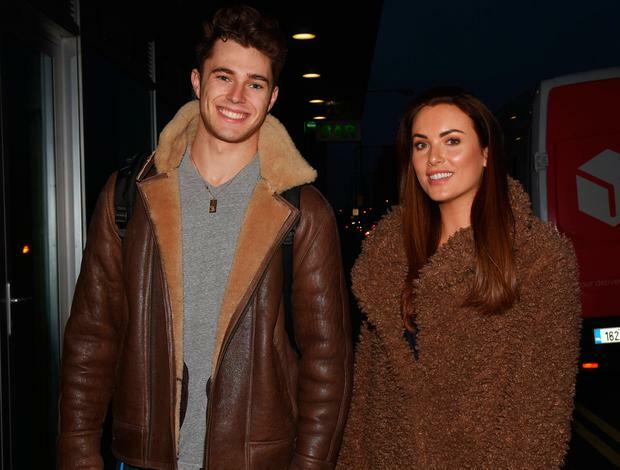 Brothers AJ and Curtis Pritchard have spoken out about the nightclub attack which left Curtis with torn knee cartilage and ruled him out of RTE’s Dancing with the Stars. Speaking on ITV’s This Morning, Curtis (22) cited ‘jealousy’ as a possible motive for the attack, which was allegedly carried out by up to eight men in a Cheshire club. “I can only say perhaps it was jealousy, because AJ was doing a couple of photos with people,” he said. AJ is gearing up to take part in the Strictly tour but he said the incident has made him worry about being in large crowds. “The really sad thing in this scenario was that we were just out to have a good time, and it came from nowhere,” he said. Dancing with the Stars will kick off on Sunday January 6 without Curtis, who has torn cartilage on the inside and outside of his knee, although he may return later in the series. He was paired with former Miss Ireland Holly Carpenter. “They’re saying it’ll be around about three weeks before I can start walking on it fully and around about four to five weeks before I can start dancing on it,” said Curtis of his injured knee. “We weren’t there for trouble at all. We hadn’t seen each other for a long time. We wanted to spend Christmas together and have a good time. “Once it happened the first thing that came to my mind was, ‘We’re in trouble. AJ is in trouble. We need to get out of this situation.’ We weren’t there to fight. “I’m lucky AJ was there, because if I was still stood where I was I would’ve been in a much worse way. AJ managed to get me out of the situation. The incident is being investigated by police in Cheshire. A replacement for Curtis on Dancing with the Stars has yet to be announced.